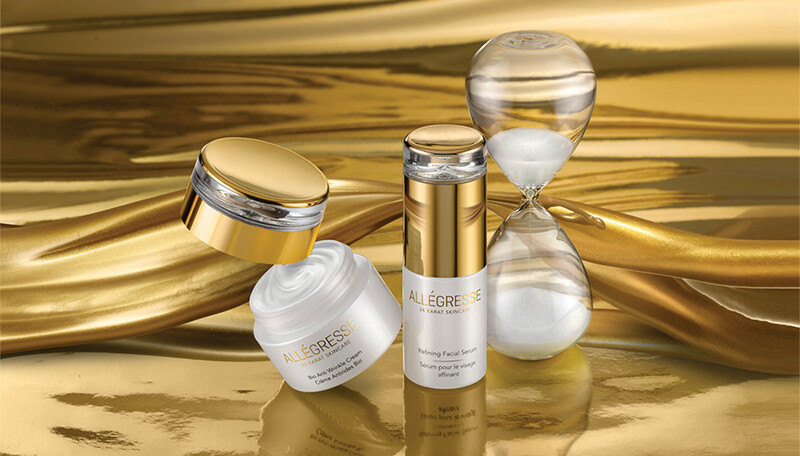 Allegresse offers ultra-targeted, high-performance skincare formulas utilizing our signature ingredient 24 KARAT GOLD, which is known for its ability to promote oxygen absorption to the skin and produce an uplifted, rejuvenated appearance. 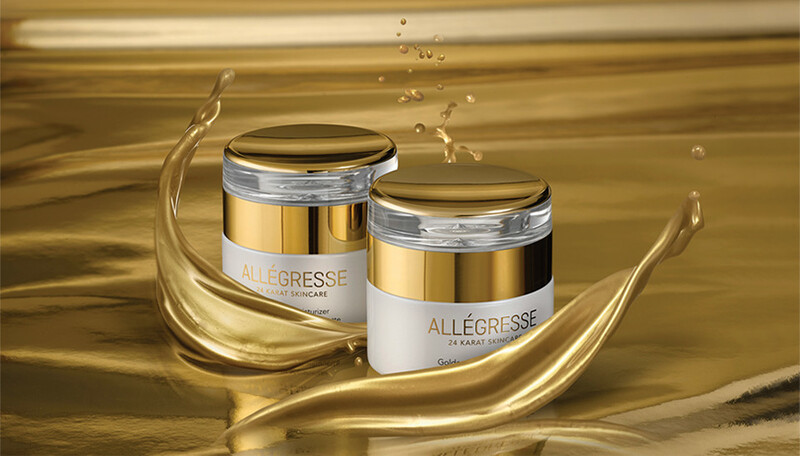 Along with 24K gold, Allegresse blends in a delightful mixture of essential oils and plant extracts, which synergistically work to improve and maintain skin’s texture and tone. Give your skin the Golden Touch so your complexion will be visibly transformed to appear clearer, smoother, firmer and gorgeously luminous. Allegresse products are free from parabens, sodium lauryl sulfates, mineral oil, petroleum and synthetic colors, making them an exceptional luxury treatment for your face and eyes. The use of gold in skincare is called chrysotherapy and dates back to ancient Chinese, Egyptian and Indian times to treat various ailments. Gold is known for its ability to help create a noticeable smoothness and tautnesss in skin through its stimulating and renewal properties. When topically applied to skin, gold locks in moisture and keeps the skin visibly firm, drastically improving the overall appearance of skin so it radiates health. With gold, skin is left looking revitalized, toned, firm and absolutely luminous. Firm, drastically improving the overall appearance of skin so it radiates health. With gold, skin is left looking revitalized, toned, firm and absolutely luminous. New to allegressebeauty.com? Join our email list. coupon on your first order. Cannot combine the coupon with any other discounts.